Leading the pack, Joey Rasdien takes the role of MC for this royal affair. Instantly recognisable, his endearing stage persona is intellectually absurd, physically hysterical and thought-provoking. Teacher-turned-comedienne/actress, Khanyisa Bunu is a fan favourite. She was the first woman to win the audience choice award at the Comics’ Choice Awards and has also made her mark on SA TV with roles in Scandal! and Ses’Top La. The dynamic Krijay Govender is one of the funniest woman in South Africa. A stand-up comic, award-winning actress, playwright and director, she is a rare mix of brains, beauty and creativity. With over 25 years in the industry, Mark Banks is one of the most respected comedians in the country. He is widely recognised for his political satire and commonplace poke at the rich and famous, nothing and no-one is sacred to Mark’s blatant humour. Mpho Popps has a reputation for enthralling audiences. 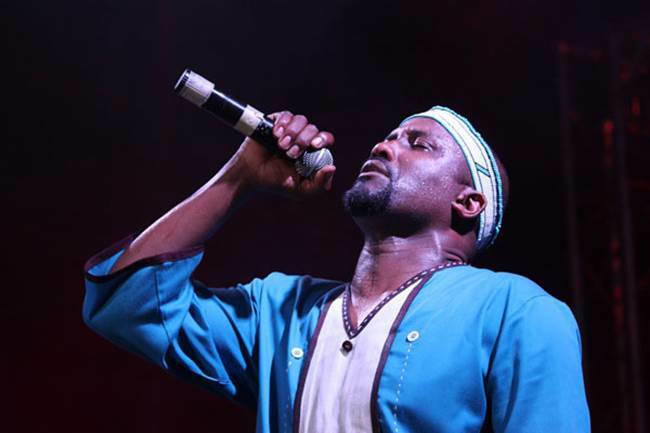 With a unique style all of his own, his tempting stage personality, hilarious social commentary and high-energy impersonations has had thousands of South Africans in stitches. Ndumiso Lindi has come a long way from Zwelitsha, a small township in the Eastern Cape. He is a brilliant young comic who is genuinely funny and his humour will appeal to fans across the demographic. A household name in South Africa, Rob van Vuuren became a comedian by mistake while he was trying to be an actor. A natural funnyman, he has established himself as one of the most prolific players in the entertainment scene - as an actor, writer, director, dancer and producer and has earned himself a very loyal following. While outspoken and sometimes controversial, Trevor Gumbi is a firm favourite in the comedy scene. His underlying charm offsets his assertive energy on stage, as he brings to the stage some politically uncomfortable issues and delivers them with hilarity. Tumi Morake’s impressive resume includes radio host, presenter, TV show host, brand ambassador, actress and ‘Queen of Comedy’ – her unique ability to deliver all the laughs and right punches has become synonymous with what fans have come to expect from this clever, witty and hilarious comedian. 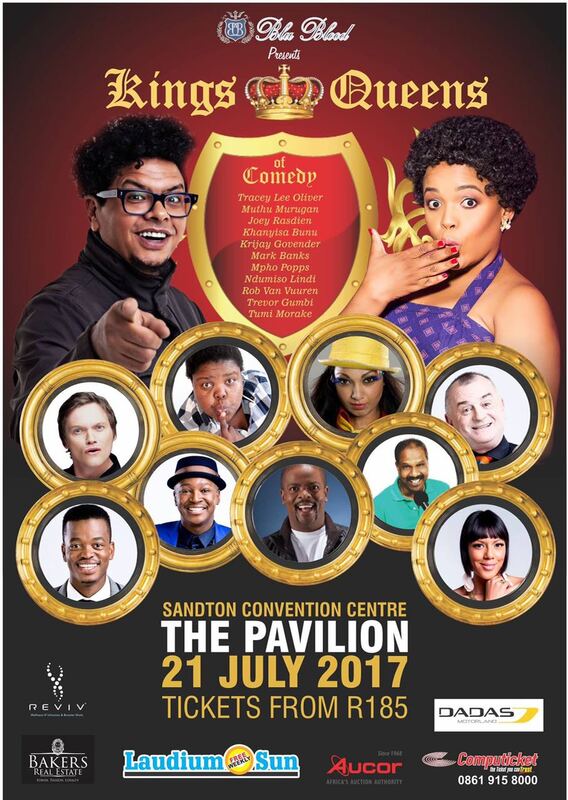 Don’t miss the Kings & Queens of Comedy, 21 July 2017 at the Pavilion at the Sandton Convention Centre. The show is rated PG16 and starts at 20h00. Tickets from R185 and are available through Computicket. Another great production brought to you by Blu Blood. Celebrating five years of Kings & Queens of Comedy, the show started in 2012 in Johannesburg and has since grown to be one of the leading comedy brands in South Africa, promoting and showcasing local talent from around the country. Follow Blu Blood on Twitter @BluBloodSA or visit www.blublood.com for more information. Acer being a fast changing, fast revolutionising brand has taken its reach a step further. This month Acer Africa kicked-off its 2017 blogger campaign called “The #AcerForYou Blogger Road Trip” which aimed to make Acer a brand that fits into your life. Conceptualised to bring Acer into the homes, work places and into personal lives of the everyday person, the aim was to communicate the versatility, appeal and features of the newer Acer notebooks. Local celebrities and influencers were brought on board the Acer road trip and invited to take this ride with the brand. 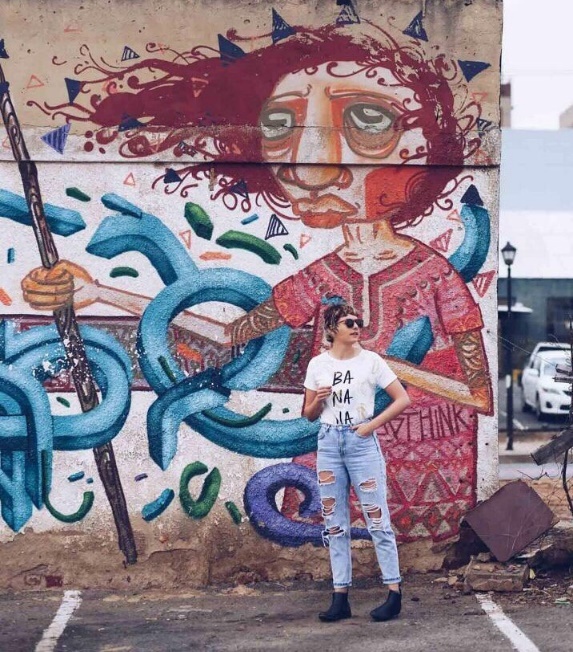 Kicking off on July 6th – lifestyle and travel blogger Anna-Belle Durrant embarked on her three-day long road trip, with her stylish Acer Swift 7 and mighty Ford Everest courtesy of Ford South Africa, around the beautiful and metropolitan city of Johannesburg. Along the way Durrant visited savvy businessmen Kojo Baffoe (Kaya FM radio presenter) and ProVerb (Idols SA host), Hlubi Mboya (actress and celebrity athlete), Gert-Johan Coetzee (fashion designer), Maya Mia (Beauty Instagramer) and Tiana Cline (gamer and tech enthusiast) over the period. Each day brought with it a new experience and learnings on how Acer can become your partner in life, and not just a device. Durrant, along with her partner for the day demonstrated how an Acer device can be used in different locations, environments and how these Acer influencers use their notebooks in their daily lives for business, fitness and even fashion. Acer is breaking the barrier of what we perceive notebooks to be. New devices such as the Spin 7, Swift 7, Nitro 5 and the Aspire S13 are slim, versatile, sleek and easy to transport on the go. Whether you are a business person, blogger, traveller, fashion designer or even a celebrity – Acer caters to all your needs while being aesthetically pleasing. In a massive coup for the South African hospitality industry, Unilever Food Solutions has secured the prize of a lifetime for the winner of the Junior category of their annual Chef of the Year competition - a trip to Nice on the Côte d'Azur in France, to apprentice with Chef Jan Hendrik in his Michelin-star restaurant – in addition to a R10 000 cash prize. And there’s just enough time to enter before the competition closing date of Friday 14 July. The Unilever Food Solutions Junior Chef of the Year is open to any chef aged between 18 and 25, and there are great reasons to enter, with cash prizes of R10 000 for first place, R6 000 for second and R4 000 for third place. This year, for the first time, the top prize also includes a week’s working holiday with South African Chef Jan Hendrik, with flights and accommodation. 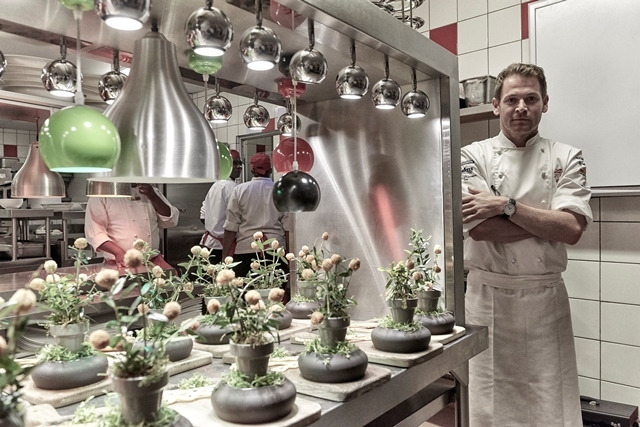 By striking a meticulous balance between South African heritage classics and French cuisine, Restaurant JAN offers a unique and unforgettable experience in the fine dining arena. The artistry of the cuisine is enhanced by the exquisite décor, which reflects both Jan Hendrik’s culinary and cultural inspirations. Young chefs can find the competition entry portal at www.ufs.com/coty featuring a simple and interactive entry process. The portal also offers inspiration with success stories, past winners and their recipes, judge bios and what they’re looking for, tips and tricks, and social media feeds. Just register your interest to access all the information you need to make your entry hassle-free, and to upload your entry and recipes. Alternatively, entries can be submitted via email to Kusturie.naidoo@unilever.com. This prize of a dream-come-true trip to France, the prize money, and the chance to make a name for yourself as an up and coming young chef through the extensive media attention that the competition attracts makes this competition an opportunity that cannot be missed. Enter now – and dream of the culinary possibilities in your future. The closing date for entries is Friday 14 July, and regional finals take place between 26 to 28 July. The national final on 6 September will see two individuals or teams from each region preparing a three-course meal incorporating a variety of compulsory proteins and Unilever Food Solutions products. For more information, go to www.unileverfoodsolutions.co.za/chef-inspiration/all-themes/where-legends-are-born.html. Watch Richard Ellis talking about his journey to working in London, which began when he won the Junior category of COTY last year https://www.facebook.com/UnileverFoodsolutionsSA/?ref=aymt_homepage_panel). Fuel, insurance, tolls and parking fees keep going up - these costs of owning a vehicle in South Africa are increasing making it difficult for some motorists to sustain owning a car. 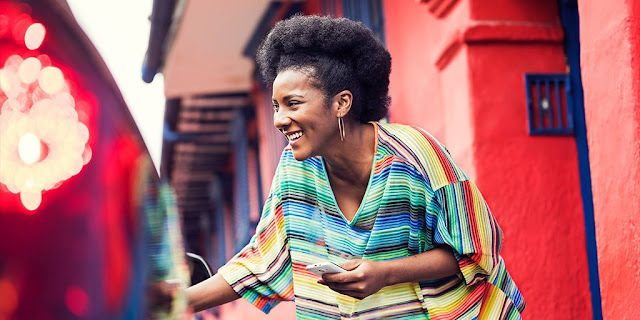 More car owners are turning to alternate modes of transport, that’s why Uber and CarZar, the fastest growing car buying service for the second-hand car market in South Africa, have teamed up to simplify the lives of those wanting to sell their vehicles. According to a recent Stats SA Survey on domestic tourism, domestic transport costs come in second only to shopping for consumers. This is due to a decline in disposable income, consumers are therefore finding themselves in a spot where they need to reprioritise funds in order to essentially, do more with less. For those looking to sell their vehicles to reduce some of their financial pressures, Uber and CarZar are taking out the stress and intensive admin of selling a car independently, while providing sellers with a reliable transport alternative once they’re sold their car. This partnership will bring a sense of relief to car owners who want to sell their vehicles but still want to enjoy safe, affordable and reliable transport while they are looking at their alternative transport options. Uber and CarZar’s partnership is centred around the #CarFreeCareFree movement. With the rise in costs such as fuel, this partnership is set to extend a helping hand to consumers who need one. CarZar has teamed up with Uber and will provide those who sell their vehicles to CarZar up to R3 000 in free Uber rides! This deal is effective as of 29 June 2017. “Uber’s goal is to help reduce traffic congestion in cities which will, in turn, result less, unproductive, time wasted sitting in traffic. 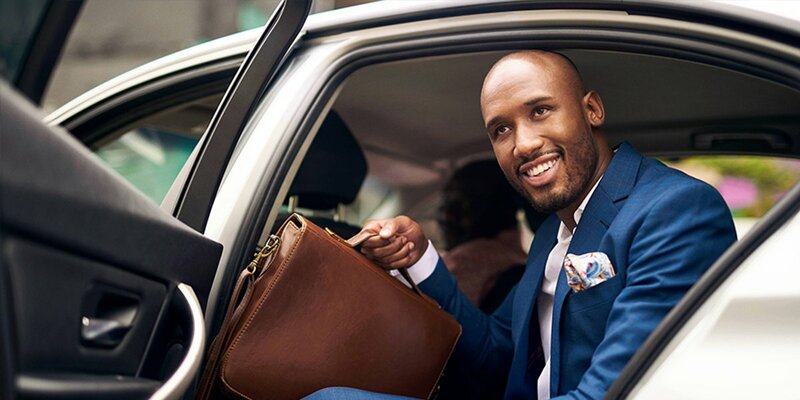 Partnering with CarZar helps us help those who’ve sold their vehicles to understand what a great, hassle-free option Uber is,” says Shavaye Govender, Lead : Partnerships & Uber for Business, Uber SSA. Those interested in taking advantage of this offer can go to www.carzar.co.za for a quick and easy way to sell a car, and experience the benefits of Uber. Pretoria for me was just a place to go and get the official documents submitted for one or the other VISA requirements. I came closer to the city when I took my parents around the Union Buildings and various other monuments last year in July 2016 and also then went again to the same place in search of Jacaranda trees with friends and their families. So when Geniene Preston from UKSACommuter presented this opportunity to join their family in braai at a place in Pretoria, I gladly accepted the same. It was at All Seasons Boutique Hotel and what a wonderful overnight stay we had with a lot of new people who became friends. I always wanted to stay in a place where the balcony can give the view of the valley and this was a perfect place and this is one of the photographs I clicked from the balcony of the Private room, I was offered to stay for a day. It took me one hour to reach the place in extreme traffic on a friday evening but the view took all the traffic pain away. Now coming back to the property, All Seasons Hotel in Pretoria belongs to the Bains Lodges. They have various properties all over the country and is an upcoming brand. This property is run by Mr. Thinus who is the General Manager along with Chef and everything all in one for this property. All Seasons Bed and Breakfast is a perfect place for those travelers who are on a long term business trips to Pretoria and nearby areas. The staff is extremely friendly and takes a lot of care of your needs. All Seasons have rooms as per the seasons of the year - Summer, Winter, Autumn and Spring along with a Private room which is the biggest of them all and some self-catering units are also part of this property. You can choose to stay as per your choice and availability at the hotel. There are many places of wine and dine along with many to do breakfast so you will never feel bored. It's a casual and relaxing atmosphere that brings people together. Swimming pool is nice and good for a hot scotching summer when you want to cool yourself. Some of the areas are just perfect like this one on Porch of the hotel, doesn't give a lot of view but is perfect for the rainy seasons lunch and brunches with your family and friends. Every sitting area is fitted with a TV so that you and friends can watch a game of sports or a movie. The decor of the place is highly taken care of and you will admire each and every piece of the same. You will definitely fall in love with this property from the Bains Lodges and will want to come visit again or stay for longer period of time. I really fell in love with this Zen Garden kind of setup with so much of nature, water and light which brings a lot of positive energy to your soul. There are a lot more photographs I have posted on my instagram.com/araijain channel which you can see for this property. I have not touched on the rooms and the decor in this post but will share those photos on my instagram channels. Do check it out on your next trip to Pretoria as this is on 741, Frhensch St, Moreletapark, Pretoria 0181 and follow them on instagram, twitter and facebook. The heart and soul of every South African beats to the rhythm of the African drum. It’s shape and form comes to mind as the new Joburg Council Chambes rises in front of the contrasting Metro Centre directly behind it. The drum beats faster as you enter the chambers from the existing Metro Centre building into the newly completed Council Chambers. Like the African drum for centuries has been used as a form of communication to summon leaders to tribal council, the Chamber calls our Joburg district Councillors together to attend sessions that determine our future and make critical decisions. The architects vision of the drum shape, determines many of the features in the building itself which challenged not only the sound and audio design but also how the currently elected councillors were placed to face the Speaker and each other in a way that embraced solidarity with each other. From floor to ceiling, each facet of the building has a story and a reason for being designed in a particular way. From the architectral drawing to a reality, the common thread has shown community involvement and produced excellence in every way. Community, togetherness and transparency has been the key to unlocking the doors to the growing rejuvenation of the City of Johannesburg. It is fitting that the month of April celebrated not only the 23 years since all South Africans of voting age stood in line for hours to cast their vote for the first time in a free and democratic election but that the building completion date was scheduled for 31 March with the official opening 3 May 2017. The Council Chamber circular shape is followed through by many of its internal finishing touches. In the passages leading up to the Chamber, various artists have shown the journey in artforms from glass through to copper interweaving their own stories into those of the struggle to freedom. The “Oh Wanderer” glass encased panels tracing the footsteps of the growth of Johannesburg by Pamela Sunstrum is placed perfectly along the first walkway, reminding those who enter the Chamber that decisions made inside affect those outside who trust them. An imposing copper wall sculpture, by Sam Nhlengetwa, encloses the staircase to the upper media area depicting the queues of South Africans in the voting lines of 1994 and showing the assertion of diverse individual identities within our changing living environment which still exist today. Along the passages surrounding the Chamber, the diversity of those that live and work in our city and their stories, of crime, hate, love and existence beyond those council walls are depicted in a series of 134 wooden totem poles. Totem poles serve many purposes beyond their beauty, and their meanings are as varied as the cultures that make them. After a competition lasting nearly 6 months, South Africans from all walks of life and age groups were asked to submit entries of their lives in drawings. From a three year old drawing and colouring in a heart to a 70 year old holding a crayon for the first time, these totems made from Kiaat, were used to be a graphic representation of their stories. 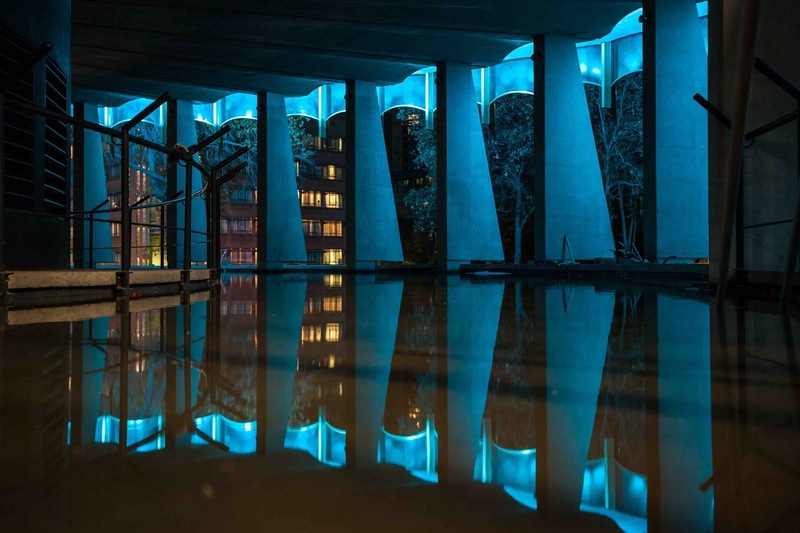 Out of 570 entries, 134 stories were selected and besides the artists being compensated for their contributions, their stories will forever be woven into the fabric of the building where decisions are made that affect them directly. Once you enter the Chamber, the transparency of the glass becomes evident in the view of the daily lives of all those who live, work and hope to survive the ravages of city life. And those outside can view the roof mounted circular TV showing the sessions as they take place. 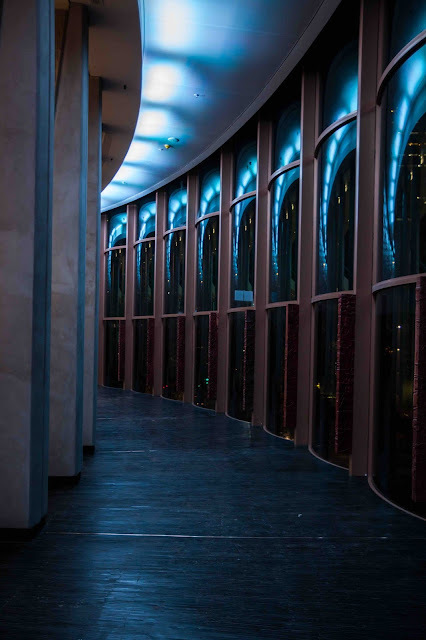 The striking drum shape of the building together with the glass panels that are shaped to ensure that the audio within does not distort, is a world class design and final finish. The seat itself, is on a sliding rod and cannot be removed or picked up therefore ensuring noise reduction when councillors leave the room while a session is still in progress. It is also designed to spring back against the desk to allow for fast evacuation in the case of emergencies. The staircase in the front of the room descends to a safe place below the building where there is an exit door into the Piazza below. The newly developed People’s Piazza below the Green 5 Star rated Council Chamber has been developed around the Placemaking concept of creating quality places which is interesting, visually attractive and mixes public art with creative activities. And the People’s Piazza is just such a space. Developed with our mixed cultures in mind together with being pedestrian oriented, safe and yet comfortable, quiet yet able to create a space for sport on a national scale, it meets many of the criteria that promotes and facilitates civic engagement and allows a physical fabric where people can connect with one another. The Piazza’s design softens the concrete Metro building which rises above the Council Chamber and brings together a community where green spaces with creative energy is but only a dream. The Rainbow Walkway to Freedom gives pedestrians the ability to walk safely under the solar streetlights to the outdoor chess and planter benches where public workers and councilors alike can relax and enjoy the sunlit gardens while having lunch. The skate park and outdoor gym as well as the outdoor Table Tennis can be used by anyone who wishes to exercise together with those who would rather play the outdoor chess or watch the big screen. 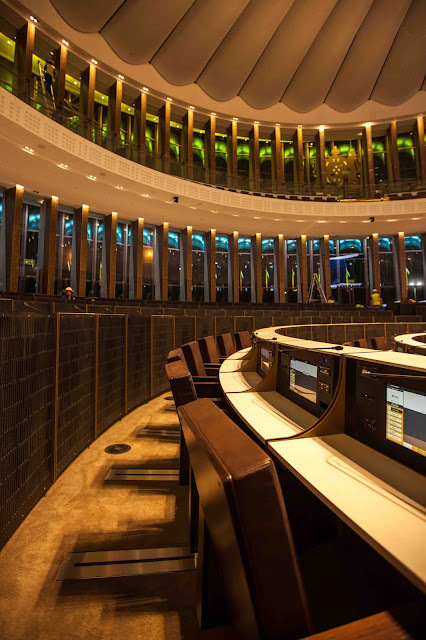 As the sun sets and whether you are arriving at the Joburg Theatre to watch ballet or a local production or you are going home using the newly developed Gautrain from Park Station, the breathtakingly lit Council Chamber is a daily reminder that the Jozi skyline is undergoing a massive change. Thanks to the Joburg Property Company whose vision and drive to make a difference is becoming apparent to those who not only live here but those who choose to visit Johannesburg. 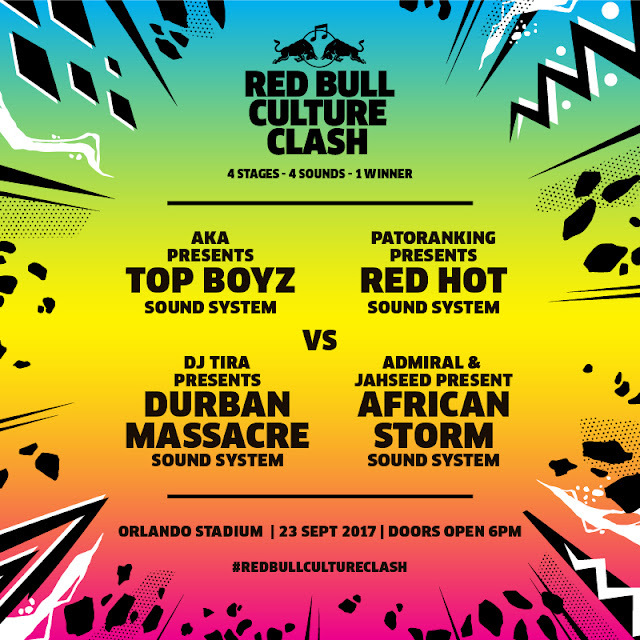 By now you should know that four of SA’s biggest sounds - hip hop, house, afro-beats and reggae - will be going head-to-head at Red Bull Culture Clash 2017 on 23 September at Orlando Stadium in Jozi, competing for the loudest response from the crowd, in a sound system battle of epic proportions. Hip Hop will be fronted by AKA and his Top Boyz sound system at the event this year. This week I want to shed some light on reggae, which Admiral & Jahseed will be repping along with their African Storm Sound System crew. 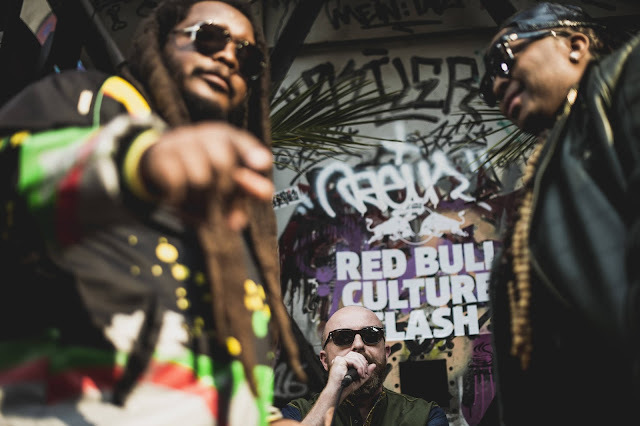 Over the next couple of weeks we’ll continue sizing up each of the competing crews and the genre they are repping, and we’ll be sending you all the info you need to decide which crew you’re going to support as the countdown to Red Bull Culture Clash 2017 begins. Keep an eye out next week for more information on house, DJ Tira and his Durban Massacre Sound System crew. Visit redbull.co.za and follow Red Bull Culture Clash on Twitter @RedBullZA, Facebook @redbull, Instagram @redbullza with the hashtag #RedBullCultureClash. 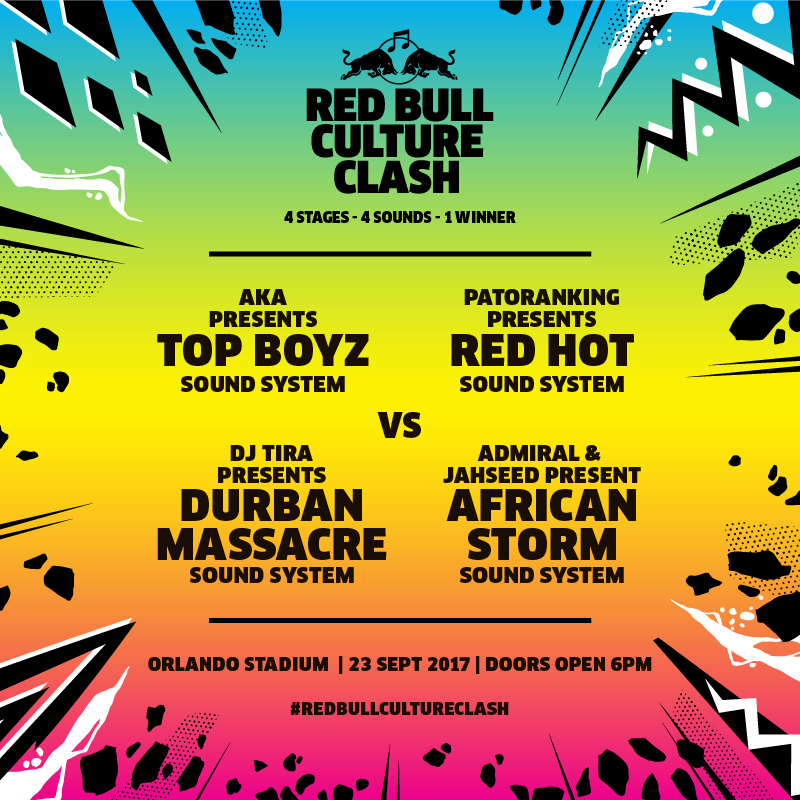 Tickets for Red Bull Culture Clash 2017 are available from Computicket. 4 stages - 4 sounds - 1 winner.